A drop-in event for people who are struggling to find employment will be held from 1pm until 4pm on Wednesday 23 August in the Civic Hall at the Council’s building at 2 High Street in Perth. Everyone is invited to come along on the day, which will bring together a number of local organisations who will have stalls to offer information to help support the citizens of Perth and Kinross to learn new skills, take up volunteering, training/education, gain employment and assist with in work support. The event is being held to launch the new Perth and Kinross Employability Pipeline and the Positive Futures! 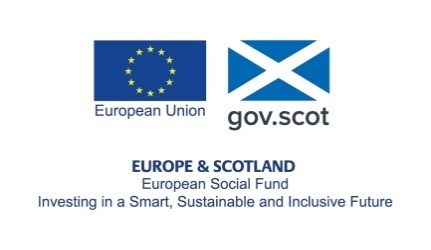 projects, which have both been funded by the European Social Fund (ESF). The Employability Pipeline is a way to bring different organisation together who can offer help to people seeking work in Perth and Kinross. There are a number of stages of support depending on your needs to help you find best type of job for you. Providers will work together to move local jobless citizens towards and into sustainable employment. The Positive Futures! project offer confidential, free and impartial advice and assistance to support individuals looking for advice on benefit checks, debt advice, income maximization and advice of workshops and outreach services.